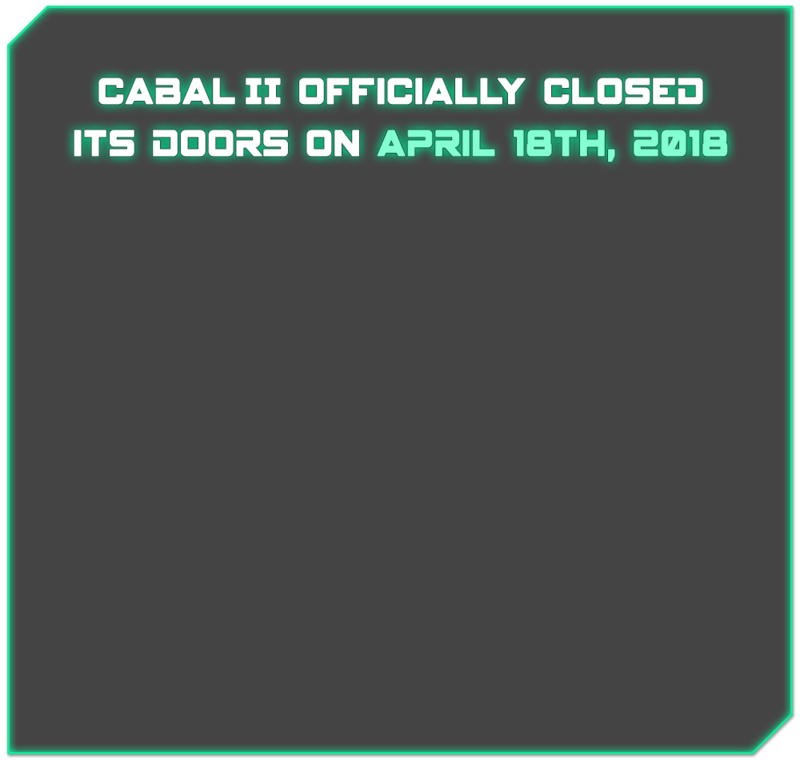 CABAL II officially closed its doors on April 18th, 2018. We would like to thank the entire community for three years of adventure and fun in the wild land of Ektensia. Together, we journeyed through striking and exotic new lands, faced countless perils and challenges across a vast world, braved the Ruins of the Gods, survived the Calamity of War, fended off artificially designed invaders, and even visited bunnies on the moon. We would like to invite you to continue the adventure with us alongside the vibrant community of CABAL Online, which enjoys a dense population of players and receives regular ongoing new content updates.